Independence Day Celebrations At BestVetCare- 8% Off On All Your Picks! Thomas Jefferson was the founding Father of America. He played the most important role in the declaration of independence on the 4th of July in 1776. It is because of such determined minds that we are able to enjoy the fruitful freedom today. From the day of freedom declaration till today, Americans have reached to their individual heights of being free. Many wars have been fought since 1776 and our soldiers have never put our country at stake. Along with these soldiers, there were four legged soldiers too, that helped them through these battles. Yes! You are on the right track! Army dogs had bled then and are bleeding still to protect the boundaries of our nation. It is astonishingly pleasant how dogs are woven in the American lifestyle. Every dog is special and serves a purpose in human’s life. They make the lives better by being a guide dog for visually challenged, or by taking up the warfare duties, or just by being a pet. These furry companions have influenced the life of Americans from the core. To complement the deeds of every courageous animal that is sheltered in America, BestVetCare has announced a site wide sale of 8% on all pet supplies for a whole week. An Intro talk on BestVetCare! BestVetCare has always tried to give the best services to all the pet parents and their furry friends. Our popularity could be dedicated to all the customers who put a lot of trust with us. We have received quite a response in a very short span for which we are grateful to all the pet parents. We have a wide range of products for cats, dogs and racing pigeons. You may find the best of flea and tick treatments, heartwormers, dewormers, dental and wound care products at discounted rates on BVC store. This Independence Week sale could be the best opportunity to shop for your pawed friend’s supplies where an added advantage of 8% off on already slashed prices awaits you. 8% Off- An array of benefits! This discount could do wonders to your savings on the pet’s budget. BestVetCare is already known for its trimmed prices. This sale would further slash the prices by 8%, making it more affordable. The offer is valid for the whole week. If you forget to order something today, the offer will be still there tomorrow to welcome you. You can stock up your flea treatments for the summer at much lesser price. Your furry friends may get the best of the treatments which probably was not possible at first because of their expensive rates. Your picks will be shipped without any extra spending. Yes! Free delivery it is! So, are you all ready to embrace the Independence Day tribute from BestVetCare? The team of BestVetCare would love to celebrate the 239 years of freedom with all pets and their parents for this entire week. 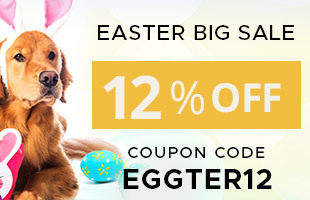 Enjoy this 8% discount on pet supplies, only at BestVetCare! A picture perfect pose is often expected from pets by their parents to build a decent memory lane of the duo. Taking pictures with pets is absolutely fun and exciting. Most pet parents look forward to the special photo shoots with their pooches and kitties. Isn’t it? Well, it takes a full proof planning to have a successful photo shoot with your canines and felines. You may need to be cautious and calm while the picture clicking process in going on. So, what are the things that you may need to take care of for a supremely awesome pictures of your furry friends? Let’s have a look at these 5 tips that may help you build a decent memory lane through snaps with pets! Flawless planning on special occasions! Taking pictures on a daily basis does not need any sort of planning. They may come naturally beautiful without any efforts. But, if you want a picture compilation for any special occasion like Christmas or marriage, it is inevitable to plan for the shoot with all your heart. Choose the clothes before hand, time and place must be checked first whether they are good enough for you, the positions of all your family members with the pet and how to take turns for a close snap with your furry pal, all must be clear before the day of the shoot. Entice your pets with treats to gain their attention! It may be a possibility that your pets would not give you the desired eye contact with the camera. Here is the tip! Keep his favorite treat above the camera lens or let the person shooting keep it in his hand. This will entice your fur baby and you will be able to catch a picture perfect look of your pet. Want your pooch to smile for the picture? Every pet parent would want their canines to smile for the picture. Isn’t it? Well, according to the experts, dogs are the happiest after a sprint, play or some energy exertion. So take some time off and go for a run with your buddy. A wide grin is what you’ll be able to see on his face. What are you waiting for? Snap! A naturally lit background is the best enhancer! When you choose your location and time for the photo shoot, try to get the natural scenarios as backgrounds. Heavy sunlight or a flashlight may create a discomfort for your pawed friends. Nothing will enhance your picture like a natural light. The quick Do’s and Don’ts! If your home is the site of the shoot, make your place spotless. Make the shoot fun with some playful things. Constant snapping may bore your pets. Take random shots. Lots of! Experiment with your shoot like aligning your camera at different angles for interesting compilation of your pet’s photos. Keep them calm and don’t force your furry friends to do what they hate, be it wearing clothes or to stand at any location they don’t like. All in all, a memorable photo shoot with your pets may require your best level of patience. Build a decent and exciting memory lane with a wonderful photo shoot using these basic tips. A perfect album may engross you in the memories like never before! Watch Out For The Pros And Cons Of Dog Licks! Kissing a dog has always been a controversial issue where some pet parents allow their canines to plant a sloppy kiss on their face and lips while others find it gross. Dogs and humans share a special bond from centuries, which is growing intense with the passing time. Different studies are being conducted at various places to find some underlying reasons that has lead the bond to intensify. Their sloppy licks are usually welcomed openly by the pet parents. But, are they safe? Some studies have shown that dog saliva is beneficial for humans and others have stated it to be an open threat for zoonosis. Well, there are always two sides of a coin and in this case, it may be beneficial for pet parents to explore both the sides. Let’s check the pros and cons of dog licks for a better understanding! There was a famous, modern French saying about the dog licks which reads “A dog’s tongue is a doctor’s tongue!” They were not the only ones to believe this. Ancient Egyptians believed that dog’s saliva has curative powers and that belief persisted for a long time. As far as our modern research is concerned, they too have succeeded in their experiments regarding it. Scientists from the Netherlands found a chemical named Histatins in pet’s saliva. This chemical speeds up the migration of new cells and heals the wound faster. The Florida researchers came up with a similar thing. They isolated a certain protein from the dog’s saliva that actually halves the healing time. Dr. Nigel Benjamin form the London school of Medicine has shown his efforts on this experiment. He proved that when dog’s saliva comes in contact with the skin, it produces nitric acid which protects the wound from infection. Apart from these medical advantages, doggy licks are a part of the affection display. Your furry friends know you better and make their presence felt by their sloppy kisses. This may give an emotional boost and distress you from the burdens of the day. Their constant touch with kids increases the immunity and protects them from allergy developments. The most feared thing about dog licks is the probability of zoonosis. Humans can get infected by the diseases that their pets may have through exchange of saliva or smooching. The other doubts that pet parents experience is the things that these furry friends come in contact with. Many canines have a habit of eating their own or somebody else’s poop. If you don’t know where your dog’s tongue and mouth has been to, it is unhealthy to let him plant a kiss on your lips. So, if you are a great fan of sloppy licks of your fur babies, just watch out for his mouth digging habits! In all, it is pet parents who may have to take care about the whereabouts of their canines if they are fond of the kisses. Though the probability is less, it is advisable to avoid the mouth kisses with your dogs to have a healthy living.